The Doncaster boasts many areas to relax and enjoy a drink. We have a huge sports bar and TAB, intimate lounge bar on the Ground Floor, as well as outdoor terrace and brasserie on the First Floor. For groups of 20 or more, view our Function Facilities, which cater for up to 250 guests. While the setting and refurbishment set the Hotel apart and will amaze first time patrons, all bars also feature a smooth blend of current and classic music, and enormous LED screens visible from every seat. With plenty of local and imported beers on tap, we pride ourselves on serving fresh, icy cold and well presented draught beer. 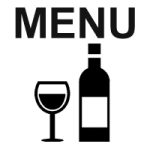 Alternatively, try a glass of wine from our extensive list, carefully selected to suit all budgets and tastes, or sample our huge range of pre-mixed drinks, bottled beers, spirits, juices or soft drinks. The Doncaster is the perfect local venue for all occasions, from a quick drink after work to your next social gathering. An extensive cook-your-own bbq menu is complemented by a large selection of a-la-carte meals, as well as daily blackboard specials, kid’s meals and desserts. A huge wine list and plenty of beers on tap, as well as fresh coffees available all day complete the bistro. The brasserie itself is an incredible venue, set in the sensational refurbishment that has transformed the Doncaster into a landmark in Kensington. A double sided sandstone fireplace, deep leather armchairs, Western Australian jarrah tables, and walls adorned in hand painted jockey colours are but some of the features of the brasserie. With plenty of inside seating, as well as huge outdoor dining terrace complete with landscaped gardens and water features, the area is suitable for all weather conditions. Large LED screens ensure you’ll never miss the big game, and the retro style lift running up the middle of the building allows easy access for those who struggle with stairs, while the grand entrance foyer and staircase make the brasserie perfect for your next organised dinner. Children always welcome. Call in tonight for a casual meal, or feel free to book a table online or call (02) 9313 6333 to ensure your space. For larger events or booking visit our Functions page. The Doncaster Hotel offers a variety of Function facilities, catering for groups from 10 to 250. We have multiple rooms and areas, and allocate space based on guests individual requirements. The areas all feature LED screens, booth and stool seating and antique Chinese sideboards for food service. All functions are fingerfood style, but can easily serve as a full meal depending on your selections. A common bar services all guests, while fireplaces, balconies and a beautiful design make the areas unforgettable. Access can be via the retro lift running up the centre of the Hotel or via the main staircase, and trading hours are negotiable. Private dining available - with personal table service, white linen presentation, and exciting menu and wine options. Please open our function package for further details. Farewells and work social occasions. Sporting or social club celebrations. 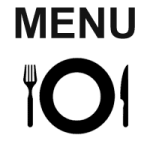 Click here for a pdf copy of our current Function Menus, or drop in and ask to view the areas first hand. Our Functions Manager will handle all your questions and tailors every event to meet the high expectations of our customers. Contact (02) 9313 6333 to make an appointment, or email functions@doncasterhotel.net.au. The Doncaster Hotel Loyalty is available for purchase for $10. Benefits include $10 credit for every $100 spent, with no limit. Applies to bar and bistro purchases only. Additional promotions and giveaways throughout the year. Conditions apply to every offer. Named after one of Australia’s most famous and richest horse races, the Doncaster is the ultimate punting enthusiast’s Hotel. We offer huge Tab facilities, with over 30 LED screens up to 80 inches covering the walls. Easy access to form and multiple betting terminals, as well as crystal clear sound from any part of the bar, make the experience complete. The ability to have a drink while watching the race sets us apart from TAB agencies, while our staff are knowledgeable and friendly. The Hotel is a short stroll down Doncaster Avenue from Randwick Racecourse, and has quickly established itself as the premier pre- and post race venue for Sydney’s racing crowd. With plenty of taxis available from the Hotel, plan your next visit to Randwick to end at the Doncaster. Why battle the crowds and transport chaos when you can relax in Sydney’s true home of racing. Princesses welcome! Great value, fast and friendly service, convenient location easy layout and great range, it's why the drive in bottleshop at Doncaster Hotel is so popular. Easily accessible from Doncaster Avenue, just a few metres from the hotel itself, we offer a true “drive through” service as well as plenty of park and browse spaces.